Discussion in 'Article Discussion' started by Tim S, 31 May 2008.
Who should win Mod of the Month May 2008? Poll closed 15 Jun 2008. Voted for Filimon's, even though we don't really know what it is yet it looks awesome whatever it is and steampunk PCs look great. Although that granite PC is seriously good. What are you doing up so early on a Saturday? Go Go Tiny HTPC. The granite PC comes close with its rather major unique-ness, but I just like practicality a bit too much to vote for it. The HTPC is the one of this bunch that I'd like to have. Simple and functional design. I love it. The steamPunk looks Cheesecake, its just something about that kind of look that screams wicked. 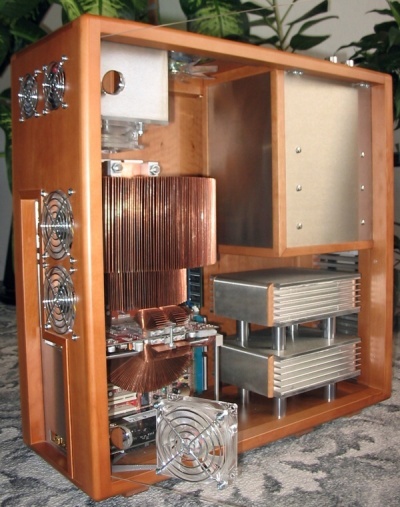 I was gonna vote for Tiny HTPC on the basis that it looks so elegant, but then I saw the custom CPU cooling solution. That's very impressive! Voted Hephaestus for the plexi work! I'm not saying the others aren't good, but the one I voted its better. Great desing, finish and integration. 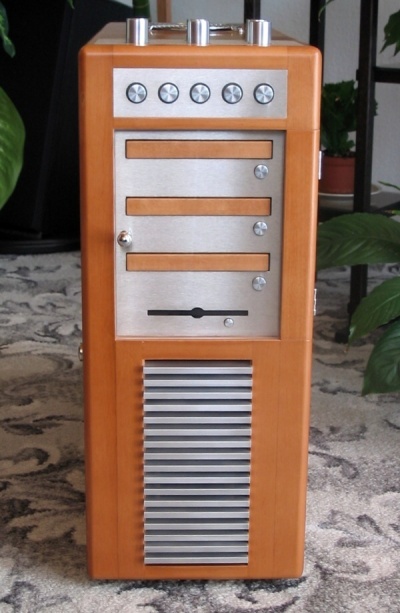 Some nice cases to vote this month, I voted Tiny HTPC it is so clean. Nice mod. the Granite case is awesome too, just like the others. modgodtanvir Prepare - for Mortal Bumbat! brazuca!! you have my vote! Shame we don't know what Claudia Unit is - I would have voted for it if I knew. All the entries are awesome, but I'm voting for Hephaestus. A gift bag from ACRyan may be the only way Yemerich can get the UV red plexi he needs to finish. Of course, translation wont be correct and there are some missing words, but i think you will get the point out of it. All very good, but I chose Tiny HTPC. Looks like many others noticed the sheer tight-tolerance work there as well. Congrats and good luck to all the nominees!